Advance promotional CDs for the Deluxe Edition of Solid Air. 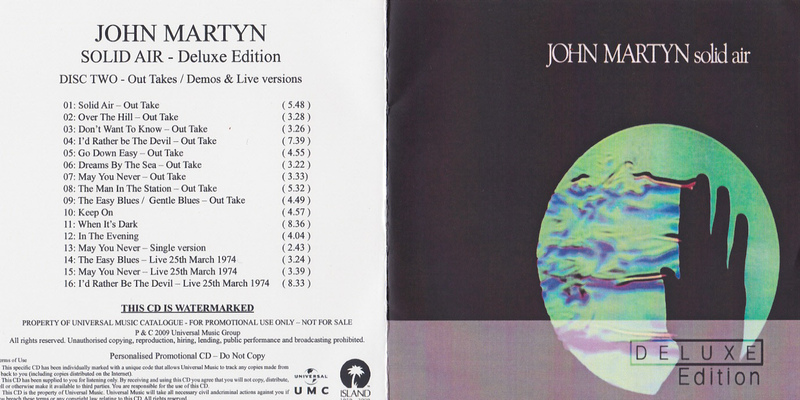 The first CD is the original album and the second is bonus material. Both CDs are watermarked with the aim of ensuring an audit trail should they be copied and passed on. 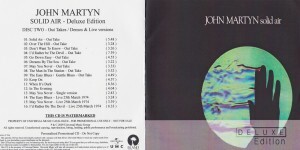 Released around 1 October 2005 in printed plain white record company sleeve. Released around 1st April 2009. Produced in very limited numbers.